Looking for an older, well-built, solid property that’s steeped in both history and creativity? 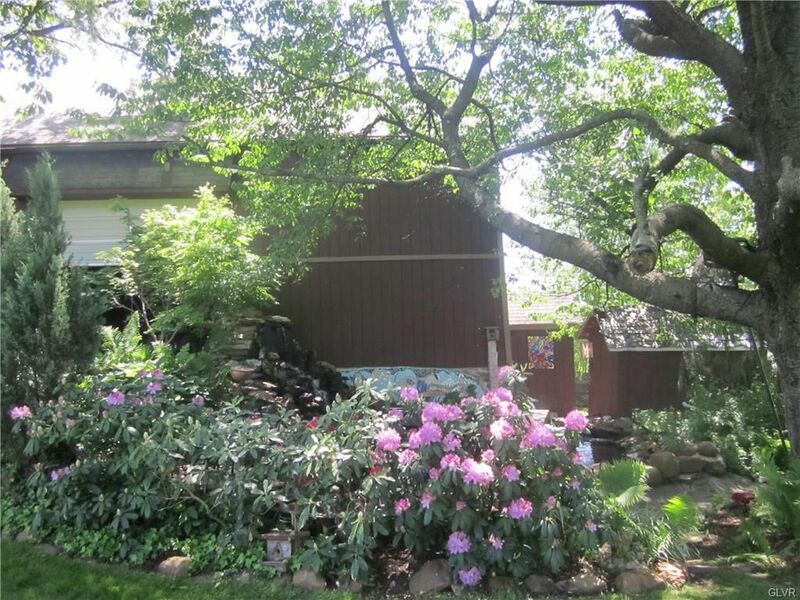 Check out 1400 Church Lane, in scenic Easton. The 2,000 square foot 3-bedroom/2 bath home was originally built in 1870 and sits on a beautiful and private 1¼ acres. The property also includes 3 unique, original barns and a Koi pond. Lehigh Valley artist Scott Mitchell and his wife Anita first bought the historical house back in 2004 and have called it their home ever since. It was perfect for the couple, who continued to add their own creativity and inspiration to the homestead over the last 15 years. Scott comments, “When an idea comes to mind, I immediately act on it. 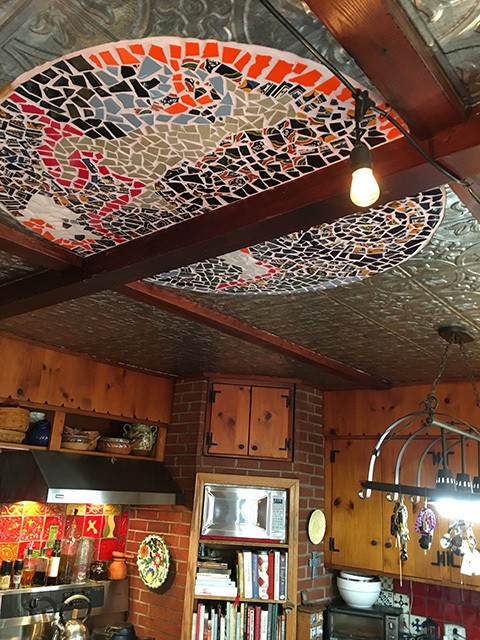 Whether it’s through a painting, sculpture, woodworking, or even adding a mosaic to my kitchen ceiling, I’m inspired to create.” Scott’s work can be seen on display at 3rd and Ferry Fish Market, Just Around The Corner gallery, and several art festivals in downtown Easton and New Hope. One only needs to step inside the main house to see the masterpieces inside every room. Sitting in the beautiful sunroom makes you feel like you’re in the middle of miles of quiet country landscape. In this room, you’ll find several artistic and one-of-a-kind tables as well as metal sculptures that Scott created -- all with recycled materials. The large living and dining room was opened up from 2 smaller rooms. It boasts a large, original fireplace, perfect for colder days and nights. You’ll find Scott’s talent everywhere, including the windowsill tilework. Second and third floors belong to 3 bedrooms and a full bath, all with their own unique charm and flair. Step outdoors and you’ll love the peacefulness and quiet surroundings. Here you’ll find several of Scott’s original birdhouses perched along the landscape. Anita’s vegetable and herb garden are lush in the summertime and sit among original perennial beds, grapevines, bamboo, and fruit trees. 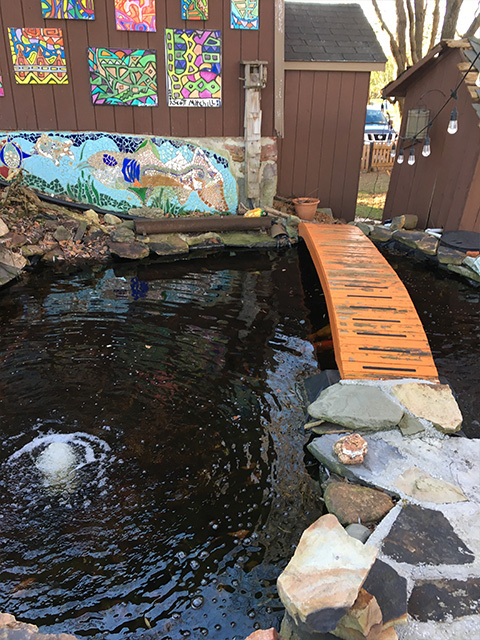 Several years ago, the couple built a large Koi pond next to one of the barns, complete with intricate stonework and crossing bridge. Two barns and a smaller converted studio complete this beautiful homestead. The larger barn is equipped with electricity and is a fantastic size for large family gatherings. Anita noted the intricate design of the joints, with detailed markings of how they fit together like a puzzle. The second barn houses a 2-car garage below with a studio on the second floor. Scott built an adorable porch onto the smallest barn (converted studio). 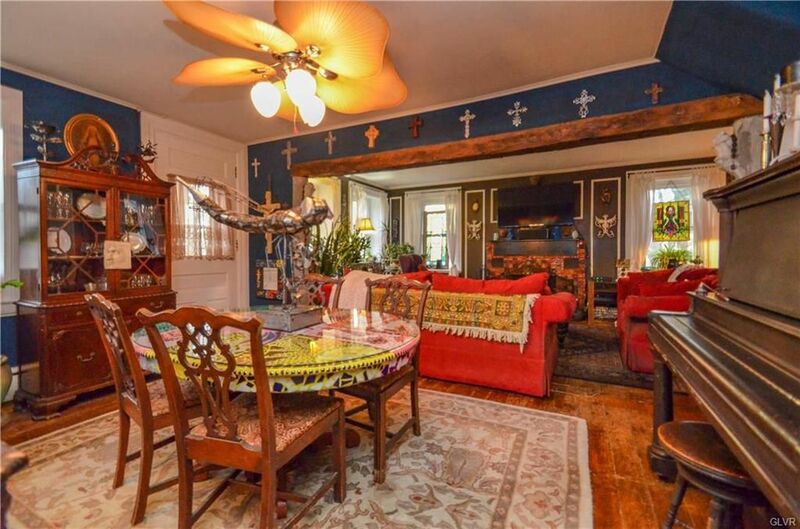 To truly appreciate the historical value and creative flair of 1400 Church Lane, you must see it in person. If you can’t wait or aren’t nearby, you can view it here. The Mitchell’s home is represented by DLP Realty, with an asking price of $349,000. Want to search for more homes in your area?